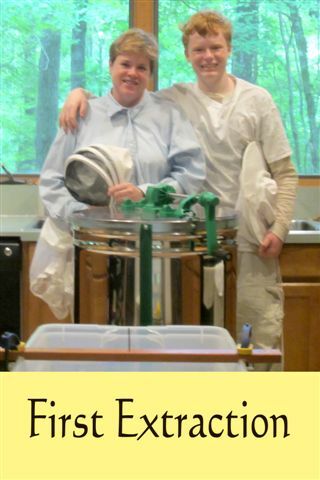 Kerry Britt and son extract their first honey . . . 70lbs!